One of the best holidays you will ever have is renting some private accommodation on the Great Ocean Road. One of Australia’s most picturesque areas, it stretches some 243km along the south-east coast. You can come for a long weekend or a few weeks, the breathtaking landscape will do a great job of relaxing you before you even realise it. 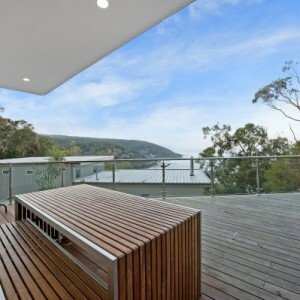 We have lovely properties across Airey’s Inlet, Moggs Creek, Lorne, Separation Creek, Wye River, Kennett River, Skenes Creek, Apollo Bay, Marengo, Hordern Vale, Johanna, Lavers Hill, The Otways and Port Campbell. Most of the accommodation has jaw-dropping views of the ocean and surrounding areas. You can browse and book the properties by location and size using our new quick search function. There is also a range of pet friendly accommodation, as well as tonnes of activities and things to do all over the Great Ocean Road region. Some of Australia’s most well known landmarks are sprawled along the coast – The Twelve Apostles, The London Arch, & The Grotto to name a few. If you need to know more give us a call and we can guide you in the right direction and explain more about all of the possibilities for you next holiday on the Great Ocean Road.